Sathyan vividly remembers his first day on the job at Sabarimala. 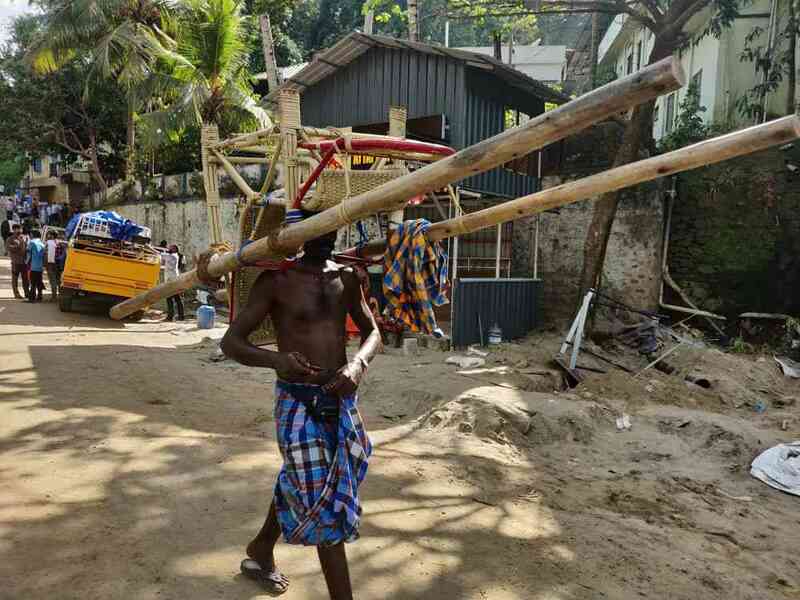 He set out for the pilgrim town from his home in Punalur in Kollam district, just a few days after he failed to clear the physical examination at an army recruitment drive. The bus journey left him exhausted. But he did not get time to relax. 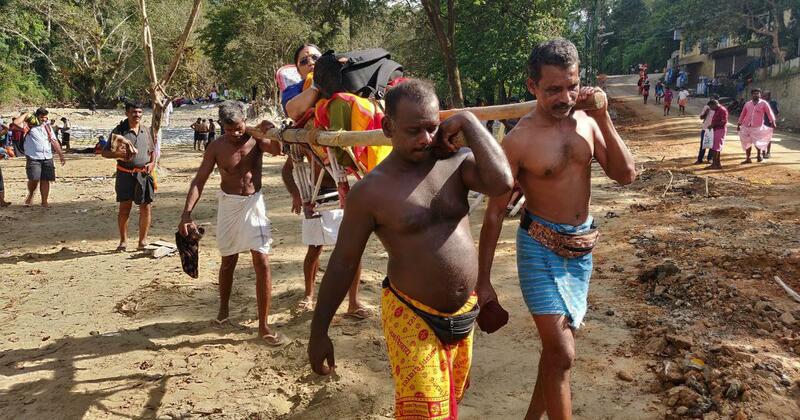 Soon after he reached the Pamba base in the afternoon, he was helping carry pilgrims to the temple in a dolly, or sedan chair. 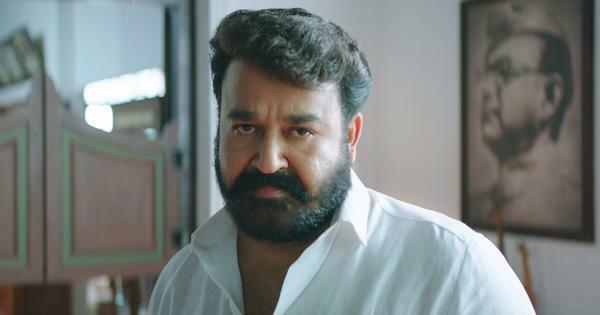 “I was a 25-year-old energetic young man then,” he said, “and I took the job as a challenge.” Another reason Sathyan could not take a breather was that his father Thankappan – a dolly bearer himself – was adamant he get to work immediately. 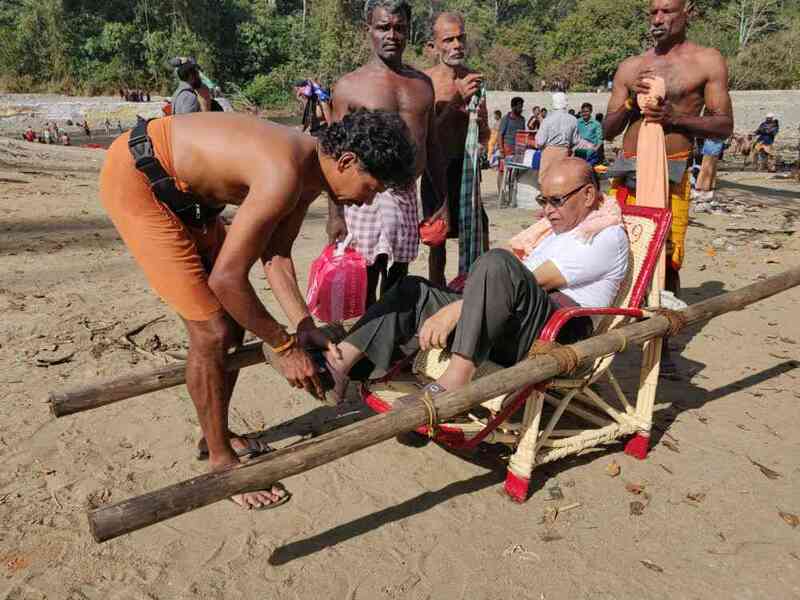 Sathyan, the 53-year-old dolly bearer. Sabarimala is a pilgrim town in the Western Ghats in Kerala. The temple, located at an altitude of 914 m above sea level, is accessible only by foot. Beginning at the Pamba river basin, pilgrims must trek 4 km through rugged forest terrain, with often steep climbs, to reach the Sannidhanam. 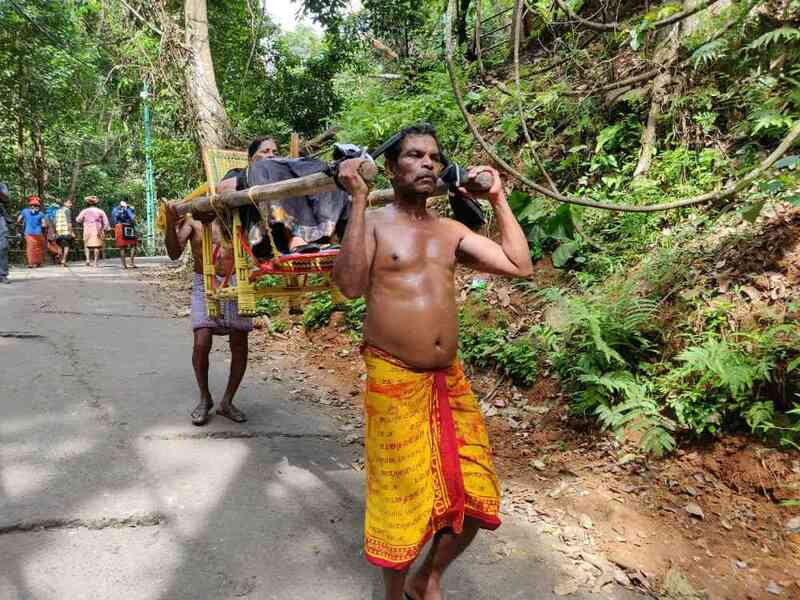 For devotees who are unable to cope with the physical demands of the trek, the dolly service is the only recourse. Four people usually carry the dolly, which is a cane chair fitted with two poles to its arms. The Travancore Devaswom Board, the autonomous body that administers the temple, launched the service in 1966 with just 10 dollys. “It was the brainchild of former TDB chairman Prakkulam Bhasi,” said former TDB deputy commissioner R Krishnan Nair. The number has increased to 500 dollys, all owned and operated by the board. More than 2,000 people work as dolly bearers. 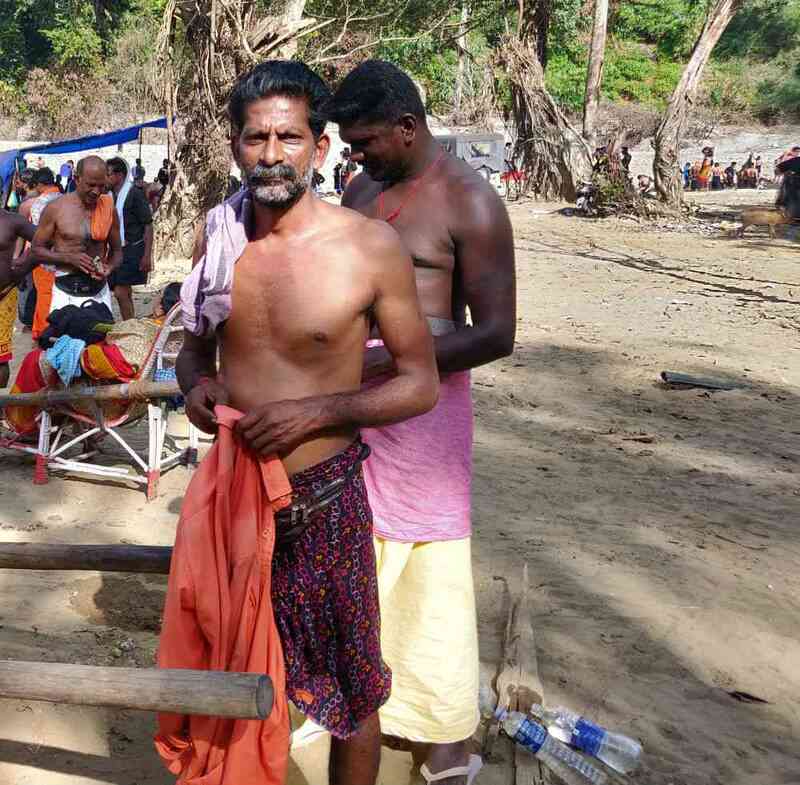 Sathyan says he has seen Sabarimala transform over the last two decades or so. “The number of pilgrims increased in the late ’90s,” he said. 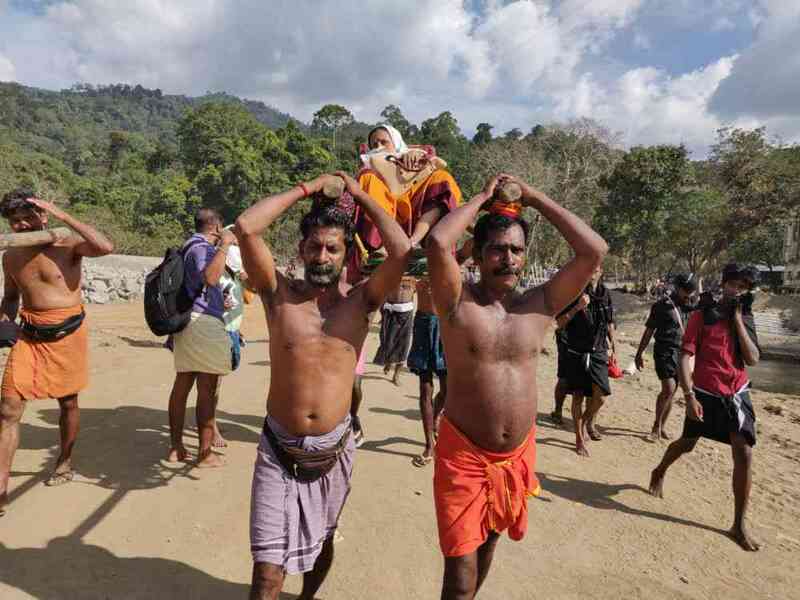 “The Travancore Devaswom Board developed the infrastructure to accommodate the growing number of pilgrims.” Back in 1991, the dolly bearers had to trek up the rocky slopes. “Now we are carrying pilgrims [on] the concrete road,” he said. During the ascent, the dolly bearers in the front lift the poles onto their heads. The temple opens for 126 days in a calendar year. 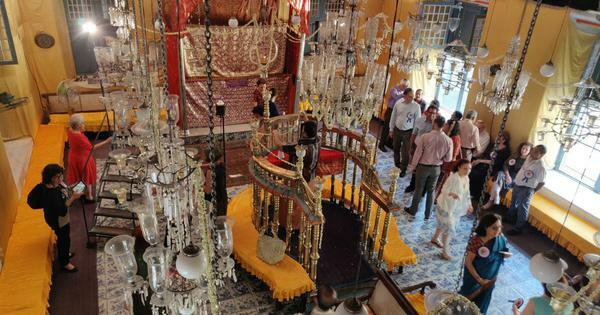 The longest stretch is the 41-day Mandala season, which begins on the first day of the Malayalam month Vrishchikam. It is followed by the 21-day Makaravilakku season. This 62-day Mandala-Makaravilakku period is peak season for the dolly bearers. The dolly bearers operate from the Pamba bus station. 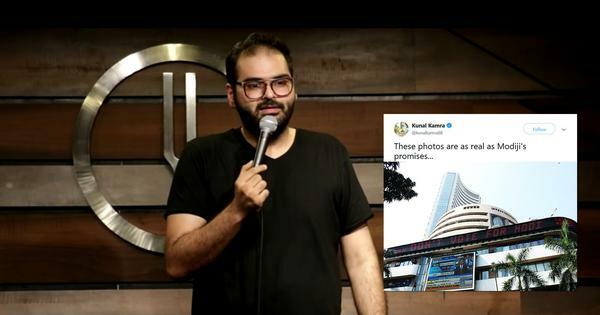 “We do not bargain with the customers,” said 46-year-old PK Suresh Kumar. 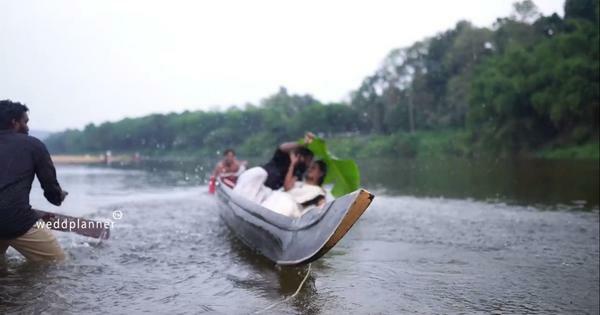 “We adhere to the rate fixed by the Devaswom Board.” One round trip (from Pamba to Sannidhanam and back) costs Rs 4,200 and the dolly bearers pay Rs 200 to Devaswom Board for each trip. From the bus station, the pilgrims are first taken to the nearby Pamba river for ablutions. “We have to wait until the pilgrims complete the rituals, following which they will be taken to Sannidhanam,” said Kumar. The entire trek takes two hours, including three 10-minute breaks. Pilgrims decide the time of their return after the darshan. “Some prefer to come back after a day,” said Venkatesh, 45. One round trip on a dolly costs Rs 4,200. The dolly bearers say the exacting physical demands of the job have taken a toll on their health. Majority of them suffer from bone-related diseases with disc prolapse, keen pain and joint pain the most common ailments. The dolly can also be carried by two or three people, depending on the weight of the passenger. It is uncertain how pilgrims will respond to the suggestion of ending the service. A dolly bearer walking towards Pamba. On November 5, Ramu Pattem was unable to hold back tears after he offered prayers at the Sabarimala temple. A few months ago, he could have scarcely imagined being here. 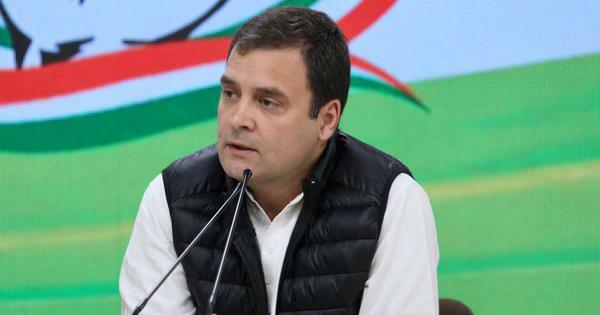 The 35-year-old from Kadapa district in Andhra Pradesh had met with a bike accident in September. 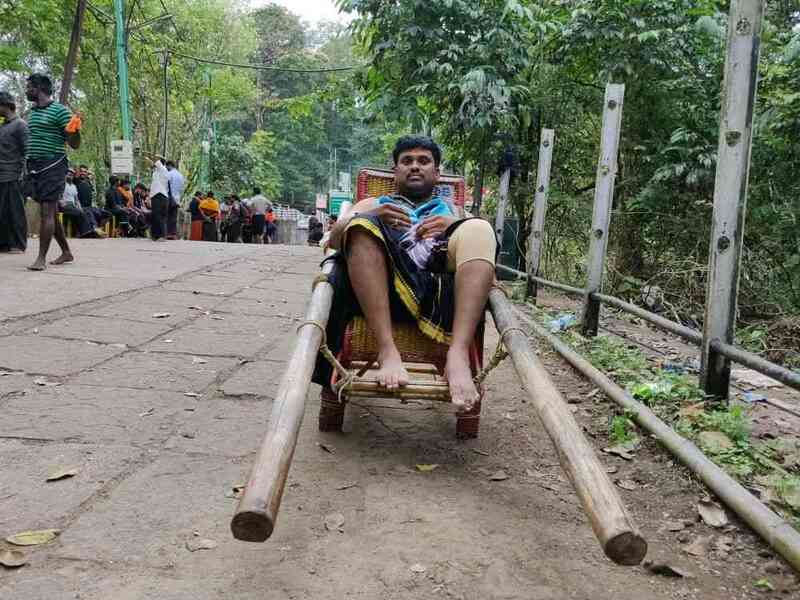 Having spent close to two months in bed with a plastered leg, he was unsure about making the trek to Sabarimala. He had almost scrapped his plan until someone told him about the dolly service. Ramu Pattem from Kadapa district in Andhra Pradesh. All photos by TA Ameerudheen.